Dominica's stand out sports performer for 2017, according to SUN Sports would be student sprinter Danelson Mahautiere who flew the country's flag with distinction at the International Amateur Athletics Federation (IAAF) Youth World Championships in Kenya and the Commonwealth Games in The Bahamas. He consistently bettered his time in both the 100 and 200-metre races. Jomiah Timothy, 16, of DGS and Cobin Paul, 16, of PSS emerged as Dominica's two representatives from among 28 young footballers (boys and girls) between 13 and 16 years who participated in The FLOW Ultimate Football Experience put on by Manchester United FC and CFU. S-Mart Tarish United FC won the DFA U-17 competition with a 4-1 victory over Ian Douglas Bombers of Portsmouth at the Windsor Park Sports Stadium. Jomiah Timothy was MVP. Chad Bertrand, Dublanc FC and Romelcia Phillip, Goodwill Runners were the DFA male and female footballers for the year 2016-2017. Dominica's men's team came second in the Windward Islands championship behind hosts Grenada in spite of being the unbeaten team in the competition. The points read Grenada 7, Dominica 6, St Lucia 5, SVG 4 and Barbados 4. Tahj Tavernier of the DCA Academy was the first recipient of the DCA player of the match award of $150 vs Grand Bay CCU Colts at the Botanical Gardens (BG). St Vincent & the Grenadines and Dominica shared the men's Windward Islands cricket championship which played in Dominica with 24 points each. Sagicor Somerset Cricket Club (CC) won the Dominica Cricket Association (DCA) FYH intermediate cricket league vs Police Sports Club (SC). 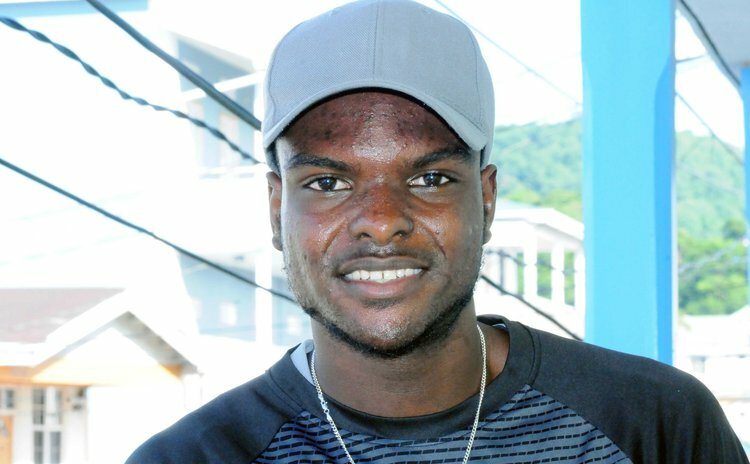 Dominica's Alick Athanaze was selected on West Indies U-19 team for the Youth Word Cup in New Zealand from January 13, 2018. Former international football referee and elite cricket umpire Billy Doctrove unseated incumbent Felix Wilson as president of the Dominica Olympic Committee (DOC) at FYH. Brendan Williams, high jumper was selected from five Caribbean athletes to sit on a 6-man Advisory Committee set up by the Commonwealth Games Federation at a meeting in Sri Lanka to give athletes a voice in the staging of the Games. The Dominica Cycling Association will host the 2018 OECS cycling road race after successfully staging it for the first time in June. Antigua &Barbuda's Jyme Bridges finished the 60-mile route in Jyme Bridges finished the 60-mile route from Pottersville to The Cabrits and back to Roseau in three hours and 29 seconds. Dominica's best place from the field of 31 was 16th through Bram Sanderson in three hours and 29 minutes. Caribbean Alliance Insurance sponsored the 2017 Dominica Tennis Association (DTA) youth tournament for boys and girls between 18 years and under at the DGS Hardcourts. Alonzo Doctrove won the 14 & Under Edgehill tennis tournament at the DGS Hardcourts with victory over Shahid Lewis 4-1, 4-2. Sprinter Mitchel Davis of Roseau was named Sportsman of the Year at the SD Ministry of Youth, Sports, Culture and Constituency Empowerment (MYSCCE) annual sports awards ceremony at the Fort Young Hotel (FYH) in May. The Sportswoman was England-based boxer Valerian Spicer. Female and Male Youth Athletes were Kyla Winston of Roseau and Alick Athanaze of Grand Bay. Spartans and Spartanites captured the Big Edge Financial Express national netball titles in Portsmouth. Spartans won Division I by 40 goals to 39 vs Jazz. Spartanites defeated Northern Contractors Portsmouth Secondary School 21 goals to 20.